Just to recap where we are today, the U.S. Health & Human Services Department (HHS) Office of National Coordinator for Health Information Technology (ONC) has authorized three organizations to perform complete EHR and/or EHR module testing and certification under the Temporary Certification Program Rules. Certification means that the EHR or EHR module has the capabilities necessary to support the efforts of eligible hospitals and eligible professionals in meeting the Meaningful Use requirements under Final Rule issued by Centers for Medicare and Medicaid Services (CMS) for Meaningful Use. The three ONC-Authorized Testing & Certification Bodies (ATCBs) to date are Certification Commission for Health Information Technology (CCHIT), Drummond Group, Inc. (Drummond), and InfoGuard Laboratories, Inc. (InfoGuard). For additional information about the ONC process for achieving ATCB status, as well as more information about Standards & Certification generally, see the ONC webpage. A total of 36 products have received certification by ATCBs (33 by CCHIT and 3 by Drummond). 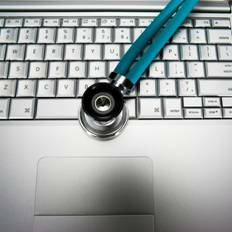 ONC is to maintain a Certified Health IT Products List (CHPL) on its CHPL webpage. As of today, only the 3 products certified by Drummond have been listed there. The other 33 products certified by CCHIT were only announced on October 1, 2010, and are expected to be added to the CHPL soon. In the meantime, CCHIT provides a list of these products in its press release.